If you believe the hype then Pure Testo Xplode can help you to achieve “peak muscle power”, and the ability to “enhance your body to new levels”. In the following review we will look at this supplement in more detail. How it works, and whether it is effective or not? We will also look at how much it will cost too. As we can see immediately that it is available for trial, which is often a bad sign. Read on to discover what we found out about this offer. 4 Is Pure Testo Xplode a scam? To be fair, while vague these are impressive sounding benefits. Whether Pure Testo Xplode can back them up though is another matter. What I would suggest to you would be to ignore these however, as you really should be looking for actual proof of how the supplement works. This means that you should pay more attention to the ingredients found in the supplement, rather than claims designed to get you to sign up for an offer as quickly as possible. Although Pure Testo Xplode claims to be made from “scientifically tested ingredients” there is not one mention of what these ingredients are. This makes me not only doubt the claims being made, but also makes me wonder if any effect will be had at all. Without this ingredient information how can you tell the effectiveness of a supplement, or whether it is safe to use or not? There is simply no way of knowing. The biggest shock you will experience while trialling Pure Testo Xplode is when you discover just how expensive the trial is. After reading the terms and conditions I found out that after the 14 day trial has concluded you will be charged $139.97. The T&Cs also state that if you fail to cancel the trial you will also be sent further monthly packages of the supplement. This is what is known in the industry as auto-shipping. Is Pure Testo Xplode a scam? There is nothing to recommend about the Pure Testo Xplode trial offer. There are no ingredients listed making it impossible to gauge how effective the product is, plus it is incredibly expensive. My suggestion to you would be to avoid this offer at all costs. There are a few reasons why trial offers are rarely recommended, and Pure Testo Xplode has many of these reasons. If you have signed up for this offer and wish to leave your own review then please do so by filling out the form below. 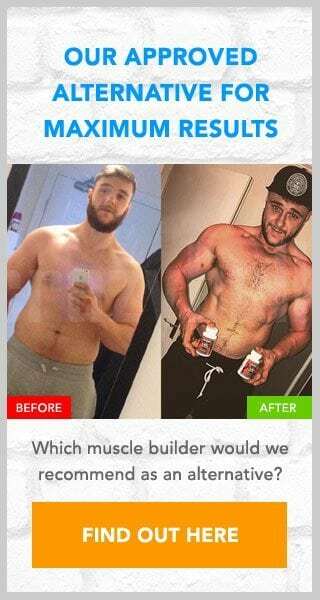 If you are looking to buy a supplement that can help boost your own training efforts then I suggest that you take a look at the Crazy Bulk website. This website sells a host of products all designed to mimic the effects of some of the most popular steroids. Take D-Bal for example, this supplement is designed to mimic the benefits of Dianabol yet without the side effects. It is also completely legal to use. As none of the Crazy Bulk products are available for trial the price you see onsite is the price you pay. There are no hidden charges or repeat charges to contend with. Doug, the above is a review. We are neither linked nor endorse this offer. I would suggest using the contact details provided above to cancel the trial. I HAVE SAME PROBLEM. THEY BILLED ME TWICE IN ONE MONTH!!! NO2 POWER BLAST and TESTO EXPLODE IS A SCAM- BEWARE!!! !